In the ever changing landscape of tv rights negotiations, theres been plenty of changes this year to various sports and I thought Id make a single post outlining the current arrangements. For the purposes of this post – and length – I’ve separated the womens sport from the mens. In December 2016, Football Federation Australia announced that it had signed a 6 year, $346 million deal to show all A-league and Socceroos matches on Foxsports. The deal includes the simulcasting of the Saturday night match on a FTA network. In June 2017, the FFA announced that Fox Sports will live simulcast its coverage of Saturday night A-League matches – and all finals matches – on Ten’s ‘One’ channel. Channel 10 will also broadcast Socceroos matches. The deal is reportedly only for two years, which would end in 2019. In 2017, the FFA announced that it had sold the international rights to the A-league to IMG. The deal gave IMG the right to market the Hyundai A-League, around the world for six years from the 2017/18 season. The rights were previously handled by WSG. In August 2018, the FFA announced it had signed a three year deal to that will see ESPN show Aleague matches into the United States. ESPN+ will carry up to 140 A-League matches streamed from October to February. ESPN+ is a live streaming service. In September, SBS reported that there were rumours the A-league clubs were considering dropping the current domestic media deal in the event they win independence from the FFA. The clubs are evidently convinced they could get more money for the content being offered. In August 2015, the AFL announced it had signed a 6 year, $2.508 billion broadcast rights agreement. The new deal will see Channel Seven, Foxtel and Telstra continue as the League’s broadcasters under the new deal, which will run from 2017 to 2022. Seven retains the free-to-air TV rights which will be shown on Channel 7,7HD and 7mate. However, Seven did drop Saturday afternoons from its coverage, opting to take Thursday nights, Friday nights, Sunday afternoons, public holiday events etc. This resulted in the net loss of 11 games a season from FTA coverage. While the rights sold to Fox included the ability to on sell a Saturday game, this did not eventuate. Foxtel will broadcast all matches live on Foxfooty or Foxsports 3, with the exception of the Grand Final. Telstra retains the digital rights and will remain the AFL’s partner, as well as delivering every game live, every week, to fans on the move across the country through the Live AFL App. It will hold the rights for all hand-held devices, the club digital network, IPTV (Internet Protocol Television) and to the AFL website, AFL.com.au. In February 2017, the AFL and Foxsports announced a deal to broadcast games internationally via the streaming service WatchAFL. The move marked Fox Sports’ first foray into international distribution.. The Seven Network and Fox Sports will broadcast the Australian summer of cricket for the next six years after signing a deal with Cricket Australia worth $1.182 billion. Seven will broadcast all men’s Test matches and all Commonwealth Bank women’s internationals as well as 43 KFC Big Bash League and 23 Rebel Women’s BBL games each season. The Gillette men’s one-day and T20 internationals will be shown exclusively on Fox Sports, as will the remaining 16 men’s BBL matches not shown on Seven. Fox Sports will also show the matches that will be broadcast on free-to-air by Seven – all men’s Tests, all women’s internationals, the 43 BBL matches and 23 WBBL games – as part of a deal that includes a dedicated Fox Sports cricket channel. The BBL has been expanded to a full home-and-away season – a total of 59 matches – which means the number of BBL games shown on free-to-air television (43) remains the same as last summer. In addition to their coverage of international and domestic matches, Fox Sports will broadcast the Shield final and 13 One-Day Cup games as well as some international tour matches. The Allan Border & Belinda Clark Medal Night will be broadcast live on both Seven and Fox Sports. The deal also includes a new digital partnership between Fox Sports and Cricket Network, which guarantees Cricket Australia’s digital channels will continue to carry on-demand highlights of all cricket played in Australia. Fox Sports will also have digital rights for its platforms. 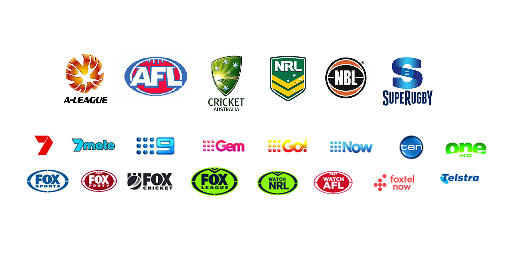 In November 2015, the NRL announced that the ARL Commission, Nine Network, News Corp Australia, FOX SPORTS, and Telstra had formed a partnership to provide free to air television, pay television and mobile coverage of Rugby League for five years from 2018. The deal was worth $1.8 billion to the NRL – 70 per cent higher than previous rights arrangement. As part of the deal simulcast rights are shared between Nine, Fox and Telstra, who have secured the digital rights. In May 2016, Sky NZ announced that it had extended its media rights agreements for Australia and New Zealand Rugby League games and the National Rugby League (NRL) until the 2022 season. In October 2017, the NRL announced it had entered into a partnership with Fox Sports Australia to take the NRL to a global audience via a streaming service to be known as Watch NRL. In February 2018, Skysports UK announced that it had signed a deal to broadcast the NRL for the next 5 years, including 3 games per round, State of Origin, the NRL finals and Grand Final. In August 2018, the NBL announced that Channel Nine will screen two live NBL games each week on Go! as part of a three-year partnership with the league. The NBL and Nine have also struck a revenue sharing arrangement as part of the deal. Nine will also simulcast its live games on the 9Now online service and has secured the digital catch-up rights to show replays of all NBL games throughout the season regardless of what network they are broadcast on. Foxsports are currently delivering the 2018-19 NBL season. The deal to broadcast all NBL games live was originally signed in 2015, and ends in 2020. In December 2015 the ARU announced that it would receive a total of $285 million in media rights revenue from the total package of SANZAR agreements. over the 2016-2020 period. Network Ten will continue to be the Australian free-to-air broadcaster, having finalised a deal with Fox Sports to simulcast all Wallabies’ domestic Tests, the Bledisloe Cup and all matches played by the Wallabies in the Rugby Championship. the ARU will now get Super Rugby shown to a free-to-air audience, with Ten to show a full replay of the Australian Super Rugby match of the round each Sunday morning with a start time between 8am and 11am and a one-hour Super Rugby highlights show each Monday night. It will also broadcast full replays of all Super Rugby finals matches featuring an Australian team. 05.05.2016 – Broadcaster to show NRL games and tests until 2022. 18.09.2018 – FFA have few friends left but can we trust the A-League clubs?